A lot of Harvard’s reputation comes from doling out presidents, diplomats, and CEOs. The most common concentrations are government and the social sciences. But there are some people who dare to be different and still become a success. One such gem is Sierra Katow, a 21-year-old senior from La Cañada, California. Don’t let her science concentration fool you. 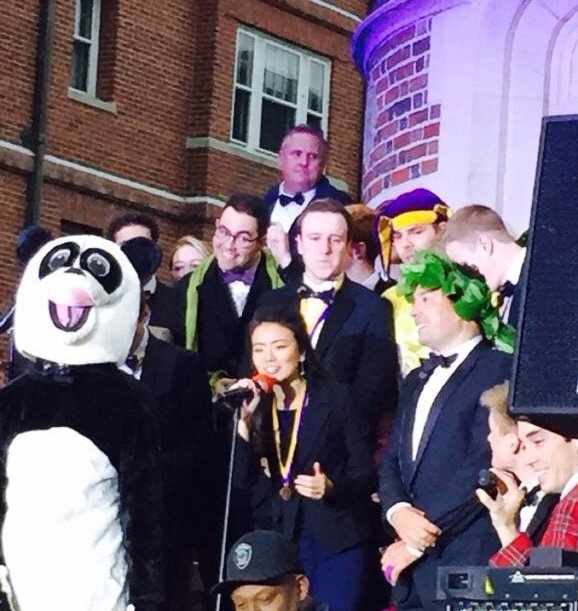 She is one of the funniest people to attend Harvard since Conan. 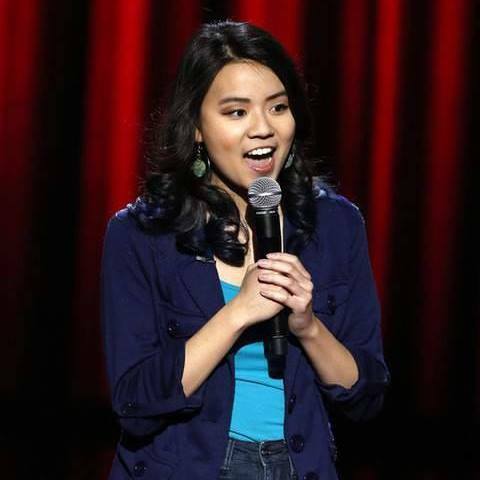 She is a stand-up comedian and has even been featured on Last Comic Standing. I first started when I was 16, sophomore year of high school, and I just liked the idea that there were open mics out there where you could do stand-up comedy and nobody pre-screens you or makes you audition, so it’s free for all, do it yourself style. I decided one day I would do it so I went to a few open mics and got into the swing of it. It was mainly just a hobby in high school. When I came here, it was very cool to find other people who are interested in it and fueled it even more. There’s also a lot more opportunities to perform in the college setting than out in the real world. It is nice, in that respect. 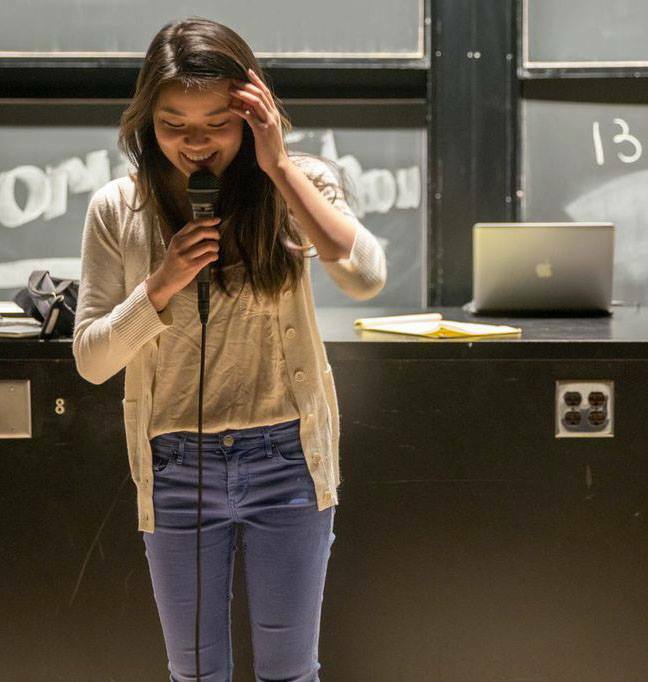 What’s the stand-up comedy scene like here at Harvard? It’s really cool. Probably the most central area of it is the Harvard College Stand-Up Comic Society, HC SUCS for short. It was a small club, originally, and it’s grown since I joined it as a freshman. 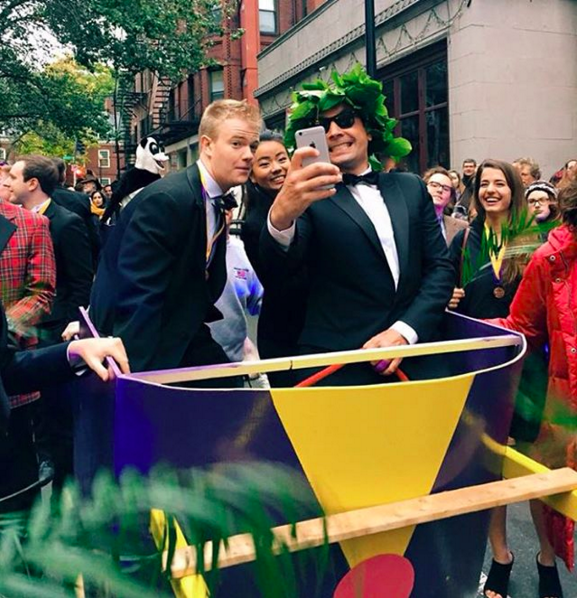 Now I co-run it with my friend, Alex Iascone. It doesn’t include all of the stand-up comedians who are possibly students here, but a lot of the ones who are interested in it. We do shows out here, once a month, in the science center lecture halls. That community is very nice. Stand-up comedy in general has been able to attach to other things and performances on campus, which is really nice, like having the opportunity to open for some random dance performance gives a different vibe. I’ll be thrown in the middle of a variety show, and you’ll have a very well-practiced and rehearsed dance, and then I’ll go and totally bring down the class level a bit. That’s always fun to see what other performances are happening and try to get some stage time out here. Student audiences are always cool and with it, so it’s fun to have them watch. What’s your current or favorite routine? I don’t know. I swap out a lot of things. I have a lot of jokes that are short and then put them in order. It’s always personal experiences at this point. I was always worried about getting super philosophical or talk about everything to a point where I don’t really know what I’m talking about. There’s definitely the factor of being a young comedian. 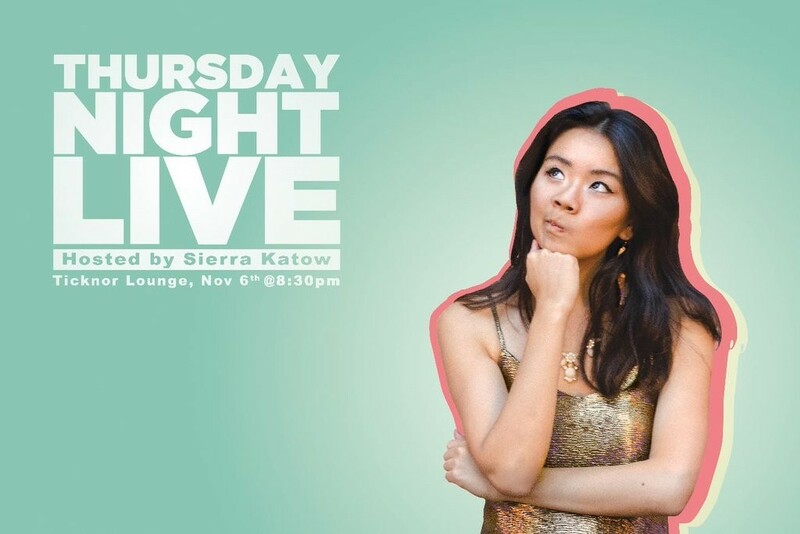 I’ve stuck to what I know best, which is my life, what it’s like being a college student, what it’s like being Asian-American, what it’s like being a female comedian. Little things like that. Family stuff is always fun. I like the twist kind of humor. Other people do impersonations or act stuff out, which I’m not as comfortable with yet, so right now I stick to writing jokes and the saying those jokes, rather than being able to do really long stories or act-outs. It’s always changing, so I don’t know if I want to lock in to anything quite yet. Do you have any comedy idols? Yeah! There are just so many stand-up comedians out there, and I meet a lot while I’m performing in LA, and those ones tend to be lesser known, and I like seeing them develop and get to be really good even though they’re not necessarily in the main stream or in the spotlight right now because it’s such a difficult thing to break into. In that way, I think I idolize all of the comedians who are well known, in the sense that they got to that level out of the thousands who aren’t there yet who are still really good, so they must be really really good. I definitely started out watching, like Chris Rock had this huge special that was out around the time I started to be interested in it. That was really cool to see. 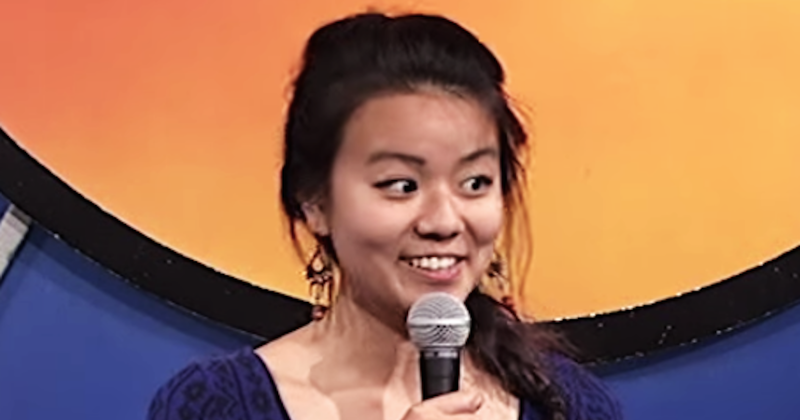 I really like looking up to a lot of the women comedians because I really appreciate what they do with it. Amy Schumer of course is huge right now. Big fan of hers, I really like her sketch stuff. It’s cool to see a versatility of comedy there. I’m a big fan of Sarah Silverman, Aziz Ansari, Margaret Cho, all of the big names people know really well, Louis C.K., and Kevin Hart. They’re all that big for a reason. I think they have a lot of great things to say. I tend to not watch long specials as much anymore because the comedians tend to have this big fan base, so their audience is populated with people who really know them, they know their style, they know the entire context of their writing and delivery. So, it’s kind of interesting because at that level, you can really say a lot more things, and you have a lot more liberties. When you’re starting out, people don’t really know you or where you’re coming from or what your context is. It’s definitely a little bit harder to say everything you want to say because there is a chance it won’t really get through or it’ll get through in weird ways. On campus, we perform in the Science Center a lot, big rooms with lots of seats, like Lowell Lecture Hall. I perform around Boston a little bit. I used to do it a little more, I get less involved when I’m in the thick of school. There’s the Comedy Studio, which is on the third floor of the Kong. I’ve performed there quite a few times over the years. It’s a great room, and it’s great that we have such access to a comedy club so close to where we are on campus. I primarily perform around Los Angeles. That’s where I’m from. Every summer and winter break, I make sure to go home so I can hit the mics a lot more. 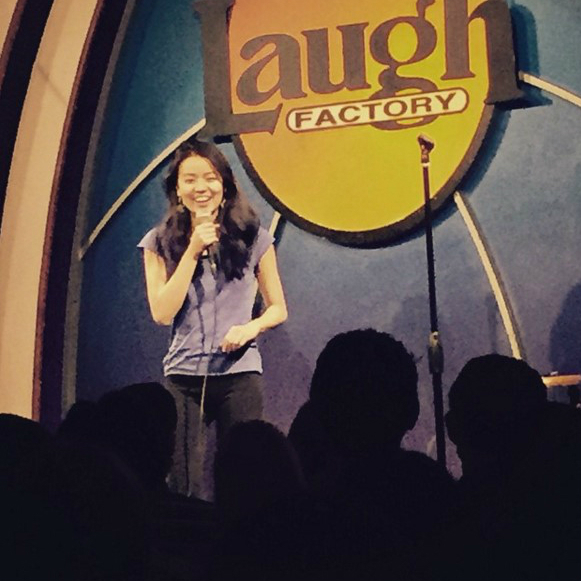 The Laugh Factory is really great. They’ve been really nice to me and have helped me develop a lot of my comedy while I’m out there. There’s various shows just at random venues as well. One’s in the back of a comic book store. One’s above a Chinese restaurant, similar to the one here. Anywhere where you can fit chairs and a microphone and an amp. That’s the route for comedians who don’t yet have a name and can’t sell out a theatre, can’t sell out a comedy club quite yet. Sometimes the best rooms can be colleges because, for me, being a college student, I connect a little bit better just because you know what’s going on. College students are always open to really really listening, they’re not just there to be entertained and get drunk. A lot of comedy clubs are a two drink minimum, so everyone’s already drunk which can be good for the laughter but not necessarily for the engagement. Out of everything, the college crowd seems to be pretty good. What was your worst experience with stand-up? There’s a lot of bad experiences, but you A) block them out, probably for the best, but B) there’s also this very good “get back up, brush yourself off” attitude in stand-up comedy. All of the greats are like, “Yeah, I bombed all the time.” It makes you better. You realize you can just get back up. It’s all about confidence, too. If you exude confidence, it’ll probably go over better. As for the bad experiences, one time I was going up at a show and one of the hosts of the show introduces everyone. 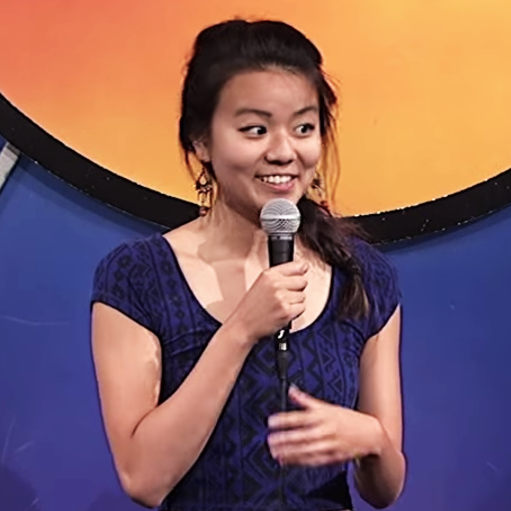 It’s very interesting as a female comedian, as an Asian-American comedian, there’s always a lot of potential for it to be like, “Oh, this next comedian is a woman!” and that’s all you get. That’s a very strange way to introduce anyone, and it is off-putting. That’s happened before, but you get used to it at some point and hopefully say something back. It was a negative interpretation of it, which is a fair thing. A lot of comics don’t stand behind the show because it doesn’t necessarily highlight everyone. It’s also weird to have a competition show surrounding stand-up comedy because it’s so subjective. So when that happened, I was like, “Oh no, everyone thinks that I didn’t deserve this. It’s terrible, and I’m just on it because I’m a young girl,” which a lot of people have said. Immediately I go on stage without much confidence, and that sends the rest of the show downhill. That was probably my worst experience. I don’t think it was a disastrous performance, but it sticks out in my mind that this is unfortunate that I let it affect me. I didn’t prove him wrong, in a way, because I was already thrown off so much. Do you ever get any hecklers? I get fewer, probably, than average, especially because I’m on the younger side, people are scared I’m going to mess up anyway. They don’t want to get in there and be mean to this young child. There’s been some. A lot are saying things that most people heckle. It can be fun. It can be good to respond to the heckler because the whole audience tends to be on the comedian’s side, so when the heckler says something, it’s OK to respond by immediately insulting them or telling them to shut up. People are on board. I think they like the spontaneity of it. On top of that, you’re establishing that nobody should be trying to interrupt the show at that point. It’s never been too, too bad. It’s always been a fun challenge. Not that I’m encouraging people to heckle me. Definitely the most exciting experience was doing Last Comic Standing this past March. It was definitely a lot of fun because meeting all the comics and getting that interaction, then going on stage with the three judges, who are big comedy idols of mine, there were very cool critiques that they could give us, and the high stakes because of it being taped and the potential of it being on television was very enthralling. I definitely plan to do comedy in some way. I’ve been doing stand-up comedy, and I know that I just need to get better at it, like any skill. I’ll probably continue back in Los Angeles and do all I can over there and try to do all I can with comedy and comedy writing, which intersects with entertainment, writing, acting, whatever. There’s no real path with a lot of these things, so my tactic is to just cast a very wide net and see what I can get. 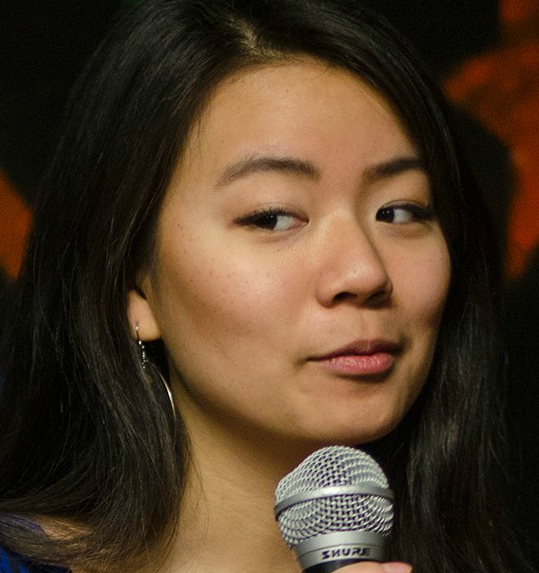 Inevitably, there’s a lot of implications with being an Asian-American woman. There’s not very many things written into the industry or into the framework that is Hollywood that allows for that a lot. A lot of what I hope to do is to spearhead things for myself and create things for myself so that I can participate and include a lot of people who potentially want to participate in comedy and Hollywood that don’t necessarily have that opportunity as of now.